Previewed a few months ago, the Nike Air Force 1 Hi "Chocolate" is set to finally return in retro form next week. 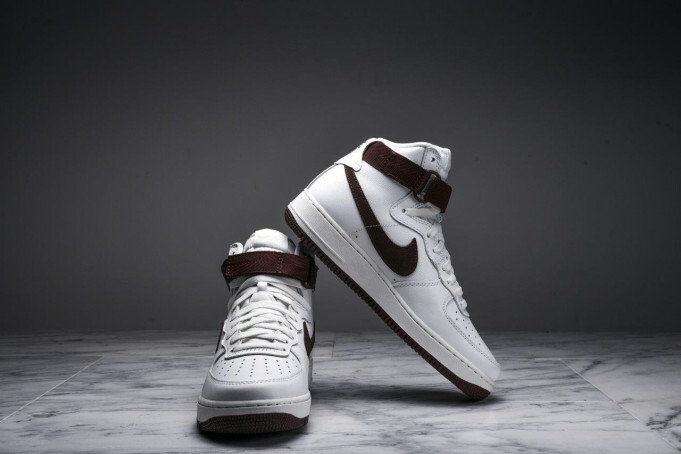 The sneaker features a white leather base with brown accents on the Nike swoosh, ankle straps, and outsole. The Nike Air Force 1 Hi Retro "Chocolate" releases November 7th, 2015 at select Nike retailers.